Bed and breakfast in Bishop Auckland. Bishop Auckland is situated at the confluence of the River Wear and the River Gaunless and has been the site of an important market since medieval times. The main street in Bishop Auckland is called Watling Road and follows the course of the Roman Dere street, the Roman Road between York and the Roman Wall at Corbridge. Bishop Auckland is the home of the Bishop of Durham. Bishop Auckland & Bishop Auckland attractions. If you are in the right town but cannot find the accommodation you want on this page, you might consider Bishop Auckland hotels. 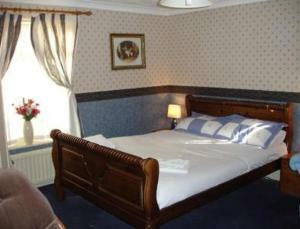 Other accommodation nearby - see bed and breakfast in Consett & bed and breakfast in Crook. Location: about 4 miles from Bishop Auckland. Offering a warm and friendly environment with excellent homemade food and extensive menus, this homely, traditional countryside inn is truly a place for all the family. The Bridge Inn is situated by a river in the village of Ramshaw, on the outskirts of Evenwood and a short drive from the market town of Bishops Auckland. David and Claire are your hosts and have been running the inn for over 12 years. David is an experienced and qualified chef, and enjoys catering for his guests. Clare oversees the running of the inn and looks forward to welcoming you as one of her guests. Their efforts in hospitality over the years have gained them an Investor in People award. With an open fire in winter, the cosy bar is well stocked with a good selection of quality wines, spirits, real ales, and traditional local beers and lagers. Location: in Bishop Auckland. This family-run hotel and restaurant is located in the heart of County Durham and offers a warm, friendly welcome and free Wi-Fi access. Bishop Auckland is a convenient base for reaching Durham and Darlington and for exploring the beautiful Wear Valley and all its historical sites. The hotel is in a traditional courtyard setting with spacious en suite rooms equipped with Freeview TV and radio channels. Location: in Bishop Auckland. Located within easy reach of the A1 and only 15 minutes from rail links, this Premier Inn is just southwest of Durham city centre with its castle and cathedral. Premier Inn Bishop Auckland boasts air-conditioned rooms with flat-screen TVs with Freeview. On site you will also find a Brewers Fayre restaurant and free guest parking. Some rooms at Premier Inn can take 2 adults and up to 2 children (under 16 years). The 2 children also get a free full breakfast when accompanied by an adult eating a full breakfast. The all-you-can-eat breakfast includes the expected cooked items, as well as vegetarian sausages. There is also a wide continental selection. Location: on the outskirts of Bishop Auckland. A quintessential English manor house steeped in history, this charming residence presents itself as the ideal destination for a relaxing country break in the historic county of Durham. Built on foundations which date back to the 12th Century, the hotel is reputed to have been Henry VIII's hunting lodge and home to the Eden family. It houses secret passages and even a friendly ghost or two! Set in its own landscaped grounds and equipped with multi-functional rooms and a spa, it is an ideal base for exploring Northumbria's many castles, cathedrals and the Roman Wall.